The foundation assists the farmers of Gorkha in forage cultivation. The main objective is to raise the income of communities by increasing milk production of buffalos and meat production of goats and pigs. Pasture and fodder development also improves the environmental and ecological conditions of the region. Crucially, the Nepal Agricultural Research Council (NARC) staff provide us with expertise and guidance to ensure that the projects are viable and sustainable. We assist productivity by providing farmers with improved resources, skills and understanding of enhanced fodder-based nutrition and better use of land for forage cultivation. Many farmers in Gorkha do not have easy access to quality resources; the foundation provides fruit and vegetable seeds, and fodder saplings so that farmers can utilize any unused portions of their cultivating fields and backyards. Training involves the establishment of a stakeholder management and agreement model, an introduction to the concepts of advanced fodder cultivation techniques, followed by several practical workshops and Q & A sessions. Training is supplemented with literature and resources for farmers. Large numbers of people live in absolute poverty in the remote hills of Gorkha, where livestock is one of the most important commodities. The majority of the rural households raise animals to support their agriculture production (compost), meet nutritional requirements (milk, ghee and meat) and earn cash income. Livestock development is therefore vital for rural livelihoods and poverty alleviation, but despite the importance of the sub-sector, farmers still rely on low producing local breeds since they are unable to invest in large ruminants. 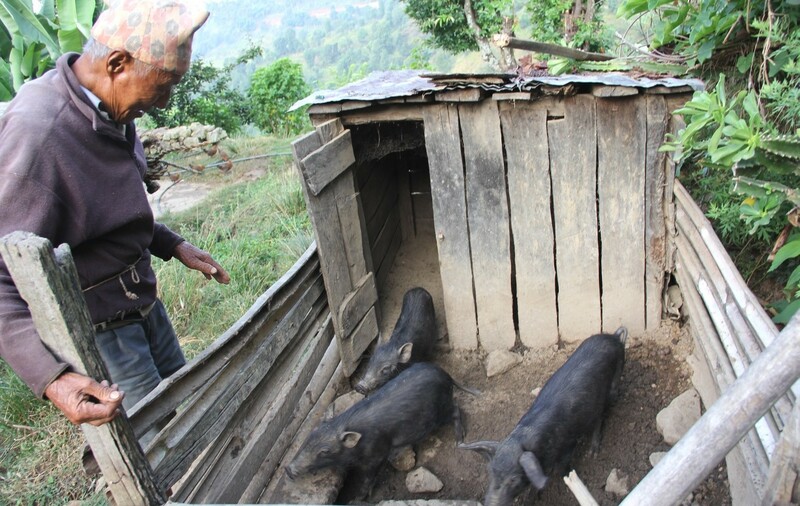 The foundation works with farmers and other related NGOs to alleviate poverty and improve livestock production in Gorkha, through the implementation of research-based methodologies designed to gradually transform subsistence level farming practices to commercial levels of production. We follow a methodology developed by The Nepal Agricultural Research Council (NARC). A team of eight senior NARC officials helped Gorkha Foundation start the project under the guidance of Dinesh Pariyar, foundation board member and former Director of the Livestock and Fisheries Department for the Nepal Government. We provide a one-day stakeholder meeting organized in selected villages. Participants include all concerned stakeholders (government and non-governmental sectors for livestock development, local government bodies representing the various political parties, village chairman and farmers). The meeting focuses on the working modalities of the project, particularly to identify and select the beneficiary farmers. We also carry out a baseline socio-economic status assessment of the farmers in these communities. During the 5-day intensive training program, farmers are trained on different aspects of livestock housing, feeding, disease and parasite management, and veterinary practices. Particular emphasis is given to the formulation of feed from locally available ingredients, utilization of land for legume grass (such as stylo) production and cultivation of fodder trees in the homestead. The second part focuses more on knowledge transfer. We agree to establish fodder blocks in participating farmers’ fields, so that year-round green forage production can meet demand. We provide seeds, fertilizers and other necessary materials and supplies, with local communities contributing labor. Evaluation is a key part of the process. Together with local stakeholders, we assess these fodder-based feeding systems and newly introduced livestock management practices. All input and output records are maintained by farmers themselves with supervision by the project team. Together with NARC, we are able to provide farmers with a part-time veterinarian located a short walking distance from their villages. Participating communities in Raigaun, Boharagaun, Ratomata, Bandanda, Deurali, Malatigaira, Lig Lig, Rautepani, Ghure Malla Tar, Simpani, and Chhoprak have all benefitted from resources and training in fodder production and livestock management, with data from these communities showing moderate increases in meat and milk production year on year. 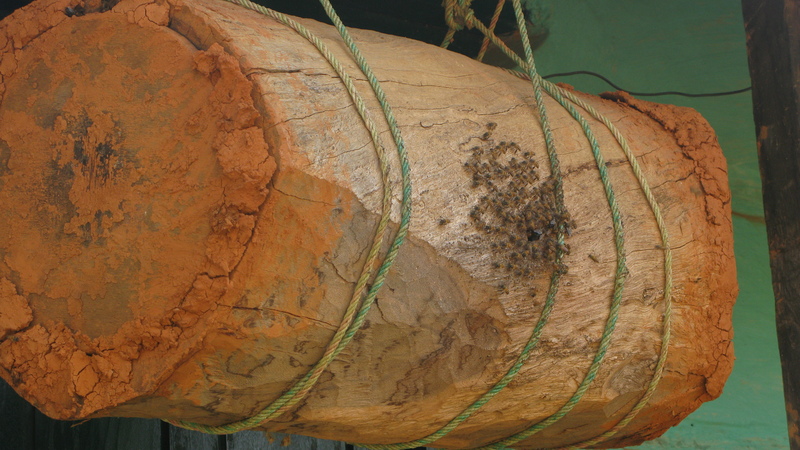 Up to now, beekeeping was uncharted territory for many farmers. Gorkha Foundation enlists experts from NARC’s Pokhara office to spend a week with communities, helping them to understand the process of maintenance and harvesting. We also organize exchange visits with experienced bee farmers from other districts to ensure that these new additions to smallholdings are viable and profitable for those involved. The Gift of Goats program was piloted in 2005 in five Lig Lig villages, and since then it has expanded to the entire western region of Gorkha along the Chepe River. A total of 50 women farmers in target villages received two goats each for three years, along with comprehensive training, health/nutritional supports and exchange visits with experts. Health and nutritional support includes vaccinations, parasite control, mineral/protein supplements and simple literature on best practices. 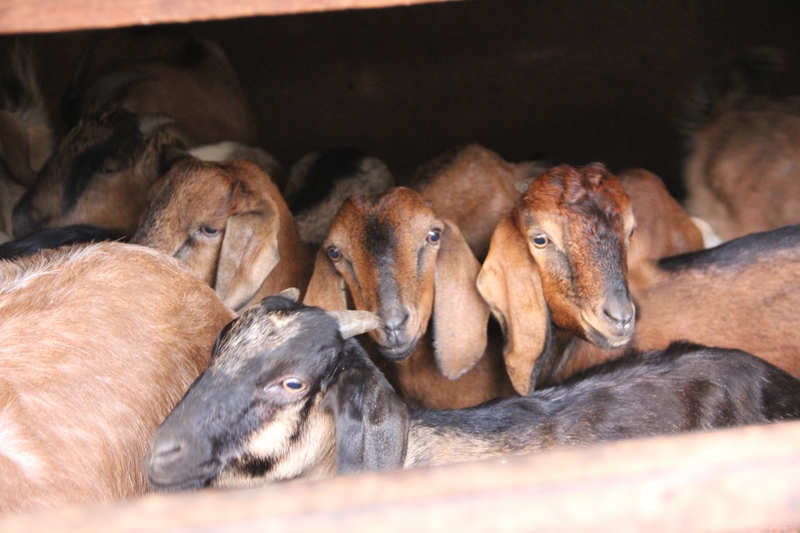 At present, one semi-commercial goat production unit has been established in Lig Lig village, where there is in the region of 120 animals at various stages of maturity from which to donate to the surrounding community. The unit also provides a stud facility, which villagers may use for breeding to further increase their domestic production output. To date, we have assisted over 2000 farmers. We believe that this project has authentic potential to change the remote hills of Gorkha from poverty to prosperity: transforming the livelihoods of poor women farmers through improved goat husbandry practices. Thanks to these additions to their smallholdings, on average each farmer is able to earn at least NPR 20,000 (USD 190) annually by selling goats.